Any fool can steal some money, and many do. But it takes sizeable cojones to steal the machine that dishes out the dough. 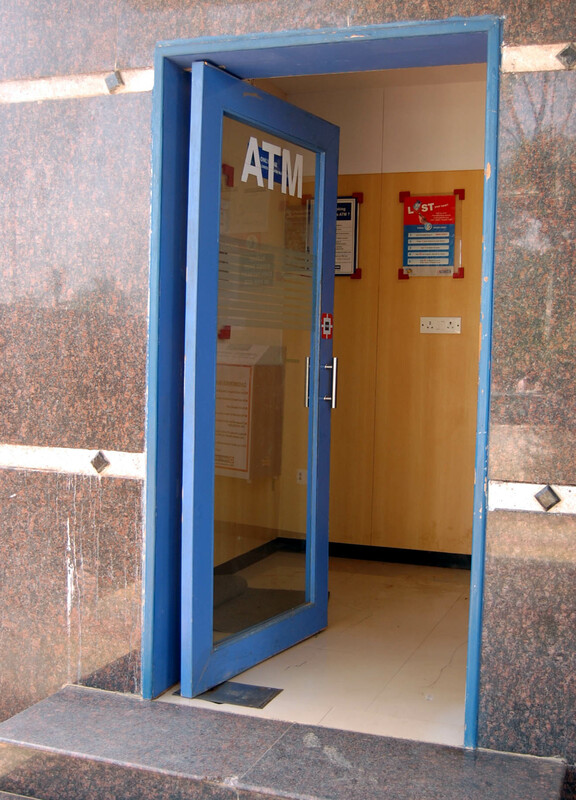 Which is what a bunch of desperadoes did at an HDFC automated teller machine (ATM) in Anekal near Bangalore on Monday. According to the security guard on duty, 15 people arrived in two vehicles to lift the machine. Nice strike, but who do they call when the machine run out of money? This entry was posted in Mysore-Bangalore, Tongue In Cheek and tagged Anekal, Churumuri, HDFC ATM, Karnataka Photo News, KPN, Photography, Sans Serif. Bookmark the permalink. The pun about Thomas Crown was excellent. Watch the stylish Pierce Brosnan serenade Rene Russo in style. hahaha… it cant get any better !! !